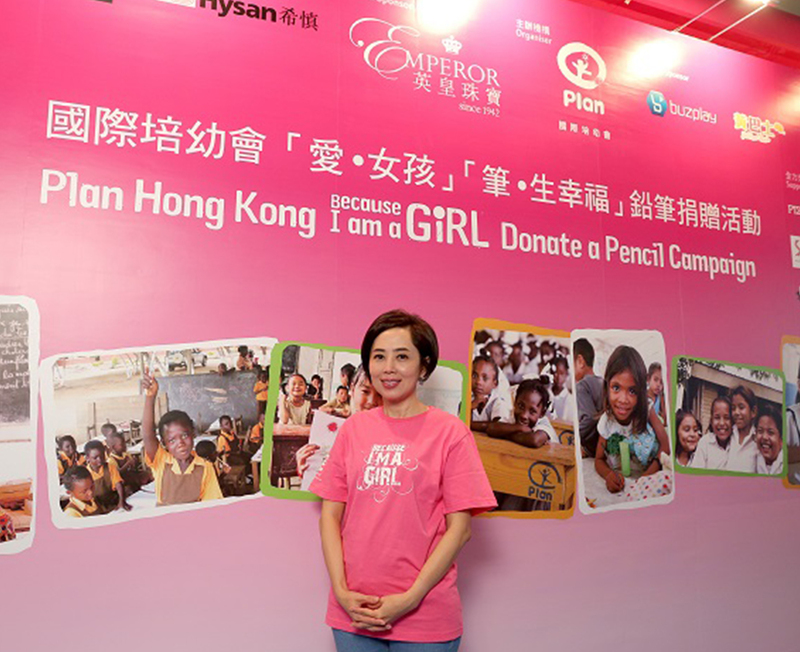 Emperor Jewellery, an active participant in charity events, marks its fifth year of consecutive sponsorship of Plan’s “Because I am a Girl (BIAAG)” campaign in 2014. Chairperson of Emperor Watch & Jewellery and BIAAG ambassador Ms Cindy Yeung has been consistently supportive of the initiative and its purpose. 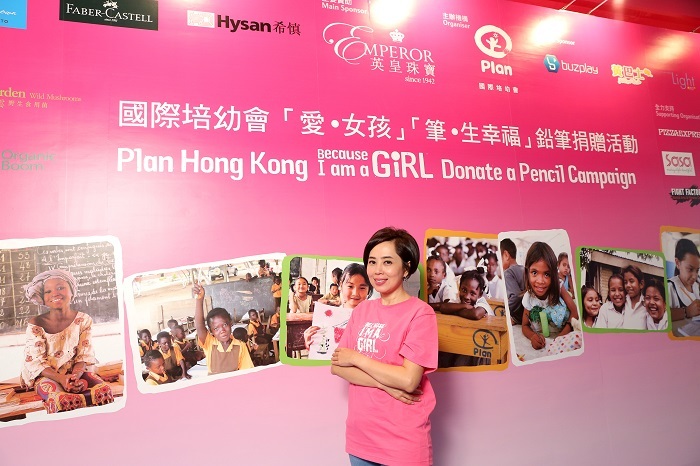 Recently Ms Yeung has visited the venue of the “BIAAG – Donate a Pencil Campaign” at Hysan Place, to offer her donation of pencils and cheer the volunteers on. 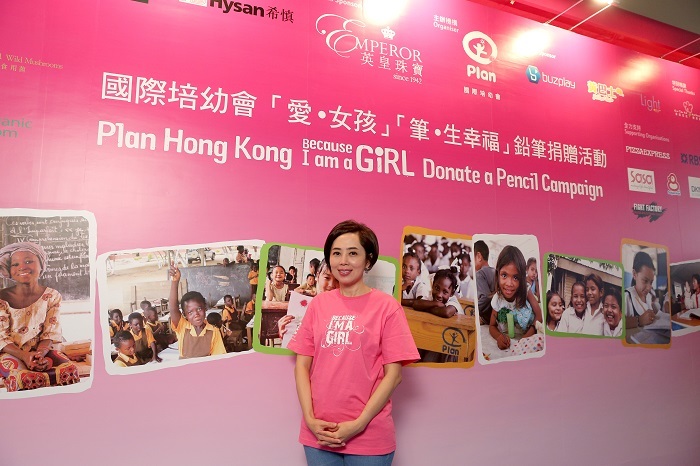 “Children in Hong Kong are indulged with the love and care from the family since infancy, and have never encountered discrimination because of their gender,” said Ms Yeung, “Compare that with girls in developing regions, who are facing inequalities merely for being female. As a mother of three, it really breaks my heart to think of these girls’ sufferings. Run in conjunction with the United Nations’ “International Day of the Girl Child”, the second “BIAAG – Donate a Pencil Campaign” is held from now to 16th October 2014 to collect new pencils donated by the public. A huge pink pencil holder has been set up on the Atrium, 1/F, Hysan Place, Causeway Bay, and the pencils collected will be sent to underprivileged girls in China, Ghana, Nepal and Northern Thailand by this coming Christmas, as a gift imbued with a wish for a better future. This year the public is invited to show its support in various forms. In addition to donating pencils, the public may also choose from additional options such as monetary donations, purchase of specific Gifts of Hope or pencil packs donated by Faber-Castell. While the pencils and Gifts of Hope will be sent to the nominated sources, cash donations will benefit projects supported by Plan’s Girls Fund.